About 500 personnel will take part in the drills. Representatives of the Eastern Military District and the Indian Armed Forces have agreed to hold the Indra-2016 exercises at the Sergeyevsky range in the Primorye Territory in the second half of this year. In addition, the sides coordinated the subject of the exercises, the Eastern Military District press service reported on May 10. “Units of a motorized infantry formation from the Eastern Military District's combined-arms army stationed in Primorye and the Eighth Kumaon Regiment of the Indian Armed Forces will practice the formation of a joint group of forces under a UN mandate and plan an anti-terrorism operation. They will block and liquidate a group of simulated international terrorists,” the report said. The Eastern Military District will assign two reinforced motorized infantry companies, mortar, self-propelled howitzer and rocket artillery batteries, and air defense, reconnaissance and radiation, chemical and biological protection units to Indra-2016. 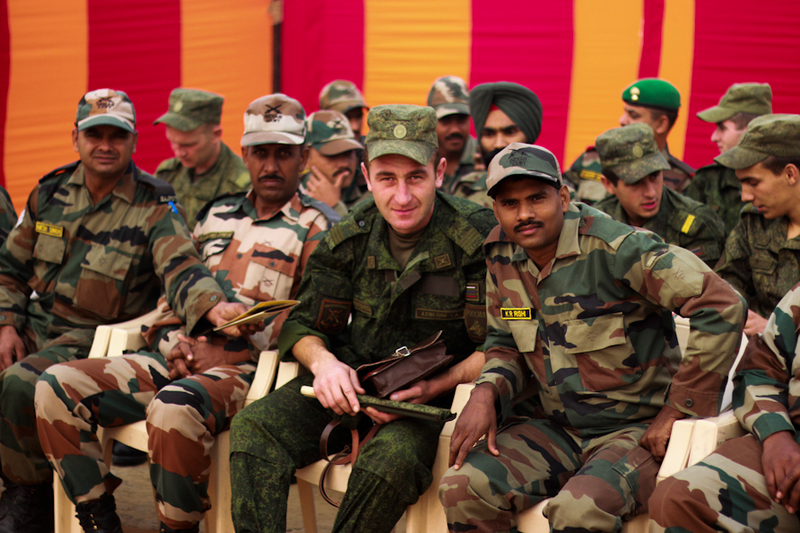 Two company tactical groups will participate in the drills on behalf of India. In all, about 500 servicemen from both sides will be engaged in the practice.